Kevin C. Desouza is a Professor of Business, Technology and Strategy at QUT Business School. Previously, he was Foundation Professor in the School of Public Affairs at Arizona State University. He served from 2012 to 2016 as the inaugural associate dean for research for ASU’s College of Public Service and Community Solutions. He is a Nonresident Senior Fellow in the Governance Studies Program at the Brookings Institution. Immediately prior to joining ASU, he directed the Metropolitan Institute in the College of Architecture and Urban Studies and served as an associate professor at the School of Public and International Affairs at Virginia Tech From 2005–2011, he was on the faculty of the University of Washington (UW) Information School and held adjunct appointments in the UW’s College of Engineering and at the Daniel J Evans School of Public Policy and Governance. At UW, he co-founded and directed the Institute for Innovation in Information Management (I3M); Founded the Institute for National Security Education and Research, an inter-disciplinary, university-wide initiative in August 2006, and served as its director until February 2008; and was an affiliate faculty member of the Center for American Politics and Public Policy. He holds a visiting professorship at the University of Ljubljana. He has held visiting positions at the Center for International Studies at the London School of Economics and Political Science, the University of the Witwatersrand in South Africa, and the Accenture Institute for High Business Performance in Cambridge, Massachusetts. Desouza has authored, co-authored, and/or edited nine books, the most recent being Intrapreneurship: Managing Ideas within Your Organization (University of Toronto Press, 2011). He has published more than 150 articles in journals across a range of disciplines including information systems, information science, public administration, political science, technology management, and urban affairs. Desouza is the author of four reports for the IBM Center for The Business of Government, Delivering Artificial Intelligence in Government: Challenges and Opportunities, Creating a Balanced Portfolio of Information Technology Metrics, Challenge.gov: Using Competitions and Awards to Spur Innovation and Realizing the Promise of Big Data. His work has also been featured by a number of outlets such as Sloan Management Review, Stanford Social Innovation Research, Harvard Business Review, Forbes, Businessweek, Wired, Governing, Slate.com, Wall Street Journal, USA Today, NPR, PBS, and Computerworld, among others. Most recently, he curated the Ideas to Retire series for the Brookings Institution that examines practices that are stifling technological innovation in the public sector. 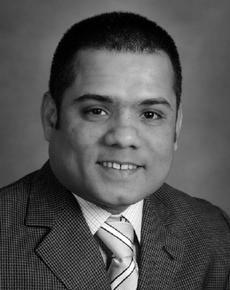 Desouza has advised, briefed, and/or consulted for major international corporations, non-governmental organizations, and public agencies on strategic management issues ranging from management of information systems to knowledge management, innovation programs, crisis management, and leadership development. Desouza has received over $1.8 million in research funding from both private and government organizations For more information, please visit: http://www.kevindesouza.net.